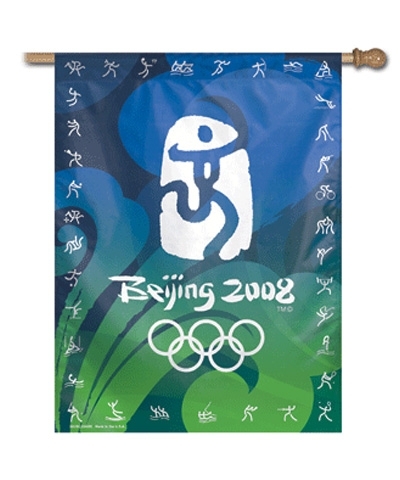 Officially Licensed 2008 Beijing Olympic Flag. The logo symbolizes an athlete running to victory against a white background and also represents the Chinese character for "jing" the second word in Beijing, meaning "capital". Designed to hang vertically from a pole or inside as wall decor. Durable polyester flag measures 27" x 37" with a 2.5" pole sleeve. Machine washable. Made in USA. Perfect for Gym or home wall decor.